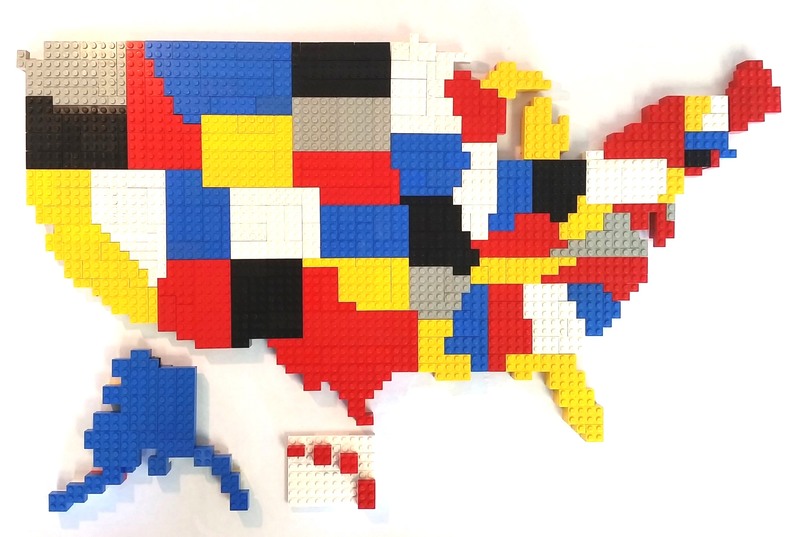 Yesterday I completed a map of the United States made from Legos. 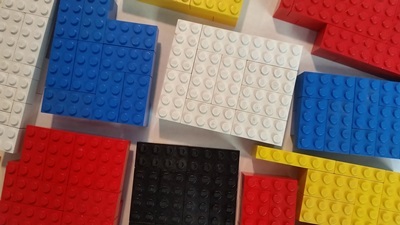 My tactile geographic puzzle measures approximately 27.0 inches by 13.5 inches and contains some 1,000 bricks in 2 primary layers. It depicts all 50 states with 6 colors (though, in theory, only 4 colors are necessary), and each state is a separate piece. 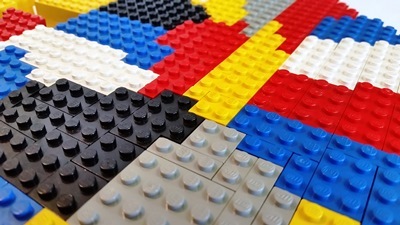 One Lego unit represents about 1,200 square miles (35 miles square). About two weeks ago, with no definite goal of completion, I began casually constructing the West, where state boundaries are geometrically simple. States like Colorado and the Dakotas were straightforward, while California and Texas, with their many sides and irregularities, required a little more craftiness. I soon realized that I may actually have enough bricks to cover the entire country. The intricacy increased, of course, as I proceeded eastward to smaller and more-irregular states. The map is now displayed on my desk at Hansen, Allen & Luce. To simplify design and assembly with rectangular bricks, the map is based on the Mercator projection, a cylindrical map projection in which parallels and meridians are orthogonal. The Mercator projection is convenient for nautical navigation, world maps, and web maps, though it famously exaggerates the size of Greenland and Antarctica (a consequence of flattening the globe). Most U.S. maps use the Lambert Conformal Conic or the Albers Equal-Area Conic projections, distinguished from the Mercator projection by their “smiley” rather than horizontal parallels. Maps of smaller areas may employ different projections still, like State Plane or UTM. 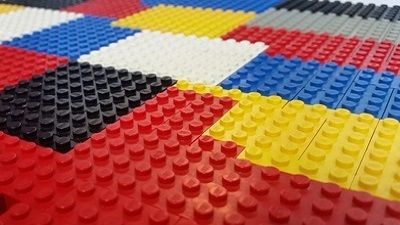 Though I created my Lego map without any direct computer aids, a similar digital version may be produced in a GIS environment: take a polygon dataset, symbolize it with discrete colors, and convert it into a raster dataset with a chosen cell size.